1. Those who want to have a bit of fun, play the field and meet plenty of people. 2. Those who are looking for a permanent partner and for whom it's more important to find that person, than to meet a lot of people. Which category you fall into will tend to determine the optimal route for you. Most internet-based dating agencies do not undertake any form of ID-check or validation of the details people provide, so there is always the possibility that the person you are looking at on screen and emailing backwards and forwards is not the person they say they are. 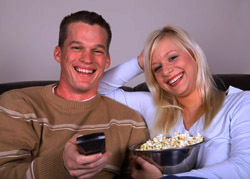 33% of internet daters actually ADMIT to lying in their profile*. Also see our section on dating scams. It is said that around a third of internet daters are already in a relationship and are just looking for someone better or playing the field. Internet dating agencies usually have more men than women registered (it doesn't take a genius to work out why). Typically, dating sites are around 60% men but can be as high as 75% men in some cases. Category two people are generally likely to be better off with solutions where they can be reasonably sure that people they meet are also looking for a serious relationship. These are more likely to be off-line agencies who take the time and effort to interview every client . Because most off-line dating agencies charge a joining fee and most will undertake an ID-check, they tend only to attract people who are serious in their dating intent. Many off-line agencies interview prospective clients (though not all agencies do this, so don't take it for granted), so they tend to offer profiles that are a tad more reliable than the average internet dating profile. Off-line agencies (by their very nature) don't usually publish your image or details on a public website, so they're a safer option for those concerned about identity theft. First piece of advice: if it's free, it's generally free for a reason! Either because the service is a way of attracting traffic to a site (eg a radio station or newspaper) or because it's an advertising-based model (where the site-owner generates revenue by selling space on the site or selling your contact details to third party advertisers). And if it's free, anyone can join - and anyone will! It's worth coming up with a list of criteria you want from a dating site. Some offer more sophisticated matching than others, based on psychometric techniques often used in recruitment and off-line agencies. Some are niche-based, so you can meet people with similar interests or backgrounds. Some are targeted at (or have a level of membership exclusively for) professionals. The difficulty with choosing the dating site for you is getting past the fact that you more or less have to sign up to see what they're like. 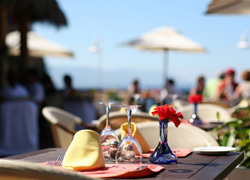 Though there are review sites which will give you a feel for what to expect, eg: www.best4sure.co.uk. 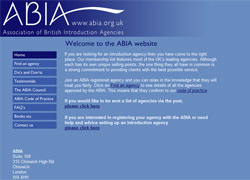 Most are members of the Association of British Introduction Agencies (ABIA) and the ABIA site tells you most of what you need to know about each agency before joining up. Agencies that are members of the ABIA comply with a code of conduct and you can therefore feel safe in the knowledge that you will be treated fairly. Unlike online agencies, all off-line agencies will be very happy to talk to you and meet you before you sign up - that's the way they work. So you can find out as much as you need to about how each agency works. It's wise to work out your criteria before you begin searching, as the ways offline agencies work can vary. Many also offer services beyond straightforward introductions. Some, like Introduction Agency and Singles Club RSVP (for example), offer Singles Events - giving you two ways of meeting people. Some will advertise on your behalf. Some offer headhunting services. 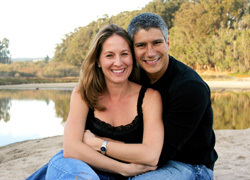 Some (again like RSVP Dating Agency) offer services like dating coaching. The ABIA website offers comprehensive information on what's on offer from each agency. One other point to keep in mind with off-line agencies is geography. Not every agency can have members in every corner of the UK - the same applies to online sites, too - and most will specialise in an area where they have a reasonable number of members. If you are in London, you will have plenty of agencies to choose from; if you live elsewhere in the UK, your choice will be more limited.